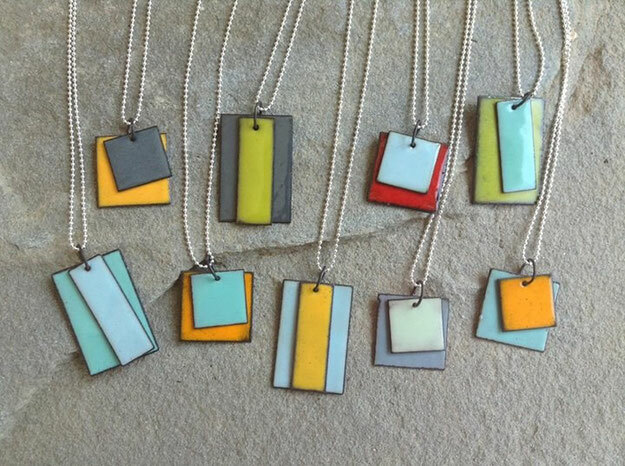 These pendants are enamel on copper with a steel jump ring. The chains are sterling and you may specify the dark "oxidized" patina or the polished silver. The name for this series comes from it's versatility- all pendants are reversible and the individual elements of each may be flipped over for a new color combination or worn alone for a simpler look. A simple twist of the unsoldered steel ring (maintaining it's circular shape by opening it sideways rather than pulling the ends apart is advisable) will free the wearer to rearrange the pieces as chosen. A gentle twist back and it's good to go. A backup ring will be included just in case! bear with me- more pics to come! 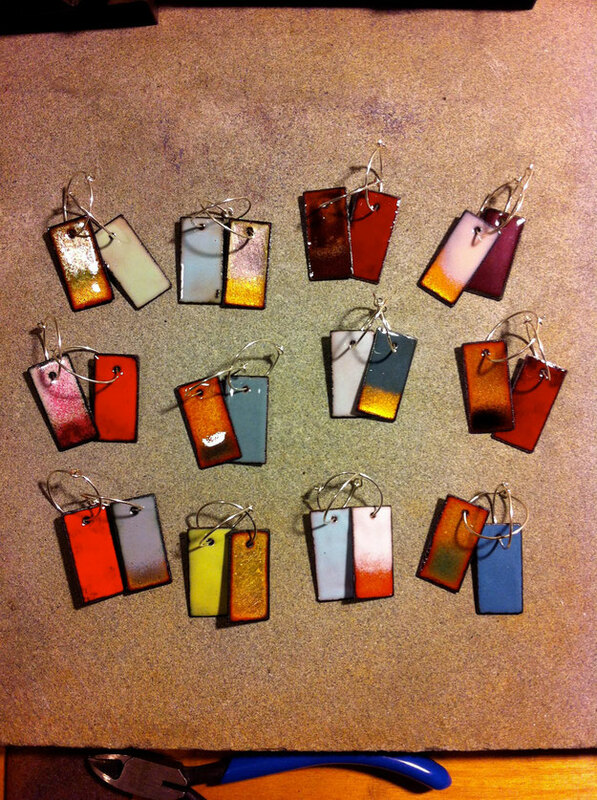 These earrings are enamel on copper with sterling silver hoop wires. They are designed to complement the algorhythm series of necklaces, and, like the necklaces, they are intended to be reversible. They are pictured as mismatched pairs to illustrate the color options in each pair.